Today it's the turn of eBay's UK COO Sarah Calcott to name her favourites in the latest instalment of the MT/eBay Digital Small Business Power List. 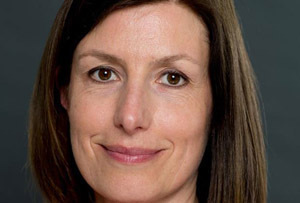 Which Brit tech SME’s have really caught the eye of Sarah Calcott, eBay’s UK COO? You’d expect someone with a big job like that to be equally big on etail, and so it proves, but Calcott’s choices also include a careers network for new graduates, restaurant food delivered to your doorstep and an app developer, too. With a background in marketing, Calcott joined eBay from BSkyB in 2013 and was made COO last October. Vote for her picks now! Bestport Europe - Bestport (also known as Yuzet) serves small-medium sized distributors, resellers, online marketers, chain stores and catalogue merchants, offering some 4,000 products – from home and garden to party costumes. Turnover at the Lincoln firm has gone from £600k to £2 million in just over two years. PF Jones - Danny Barenga joined the family-run car parts business in 2009 to launch its eBay store. With a strong customer service focus and vast range it’s now one of the UK’s best, boasting an annual turnover of over £1 million. XS Items - provides a ‘unique alternative to traditional salvage’, using eBay to sell excess stock, customer returns and redundant machinery on behalf of other companies. Having hooked clients to its value, XS is replicating its eBay model on Amazon too. Bright Network - This free graduate careers network was founded in 2008 by James Uffindell. Its 40,000 members get an open door to Google, McKinsey and PwC through personal introductions and networking events. The corporate partners get their pick of talented youngsters. Deliveroo - Frustrated by a lack of quality food deliveries in London, William Shu and Greg Orlowski launched Deliveroo in 2013. It uses 300 freelance drivers to ferry food from 750 restaurants, including Ping Pong and Gourmet Burger Kitchen. Average delivery time: 32 minutes. Everlution - This London-based software developer specialises in web app design, and works closely with clients to improve their platforms. But that’s not all. It’s also an incubator for tech start-ups, giving newbies a leg-up with mentoring and beta testing.